You can’t comment on a product’s design until you’ve actually used it. Don’t get me wrong, you can call graphics beautifully designed all day long. You can even glance at a product and say that it’s beautiful. But when you move past a graphic to a full blown product, you need to evaluate the design holistically. 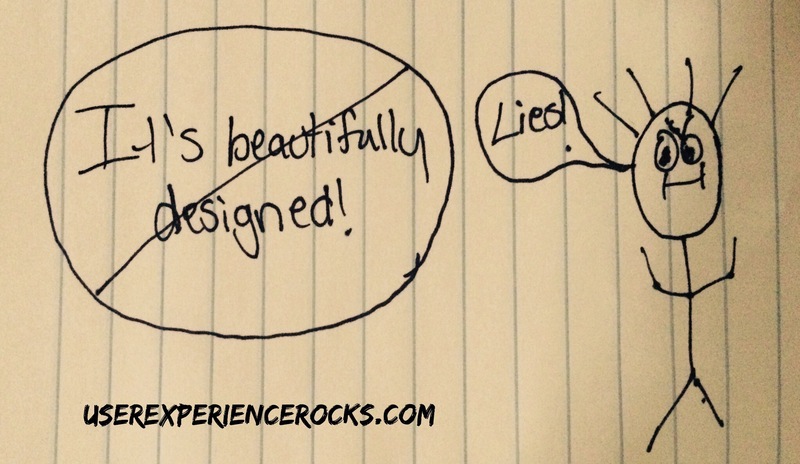 If a product is gorgeous but impossible to use, it’s not beautifully designed. If a client who is actively, heavily using your product tells you it’s beautifully designed, consider it the highest form of compliment.